Each week, we make meals for over 100 homeless people. We help those who are in most urgent need through our Sunday lunch service. We also deliver meals all over the streets of Pittsburgh and to the encampment areas. Our primary mission is to develop and connect communities of diverse people that come together for the greater good. We provide a way for groups, individuals and families to get involved! Our Sunday lunch ministry allows the community to provide meals and fellowship. 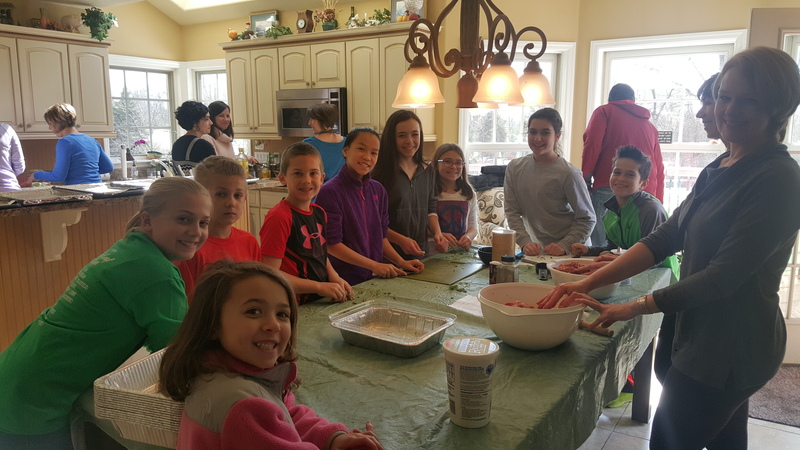 Our meal making parties are fun for a good cause! 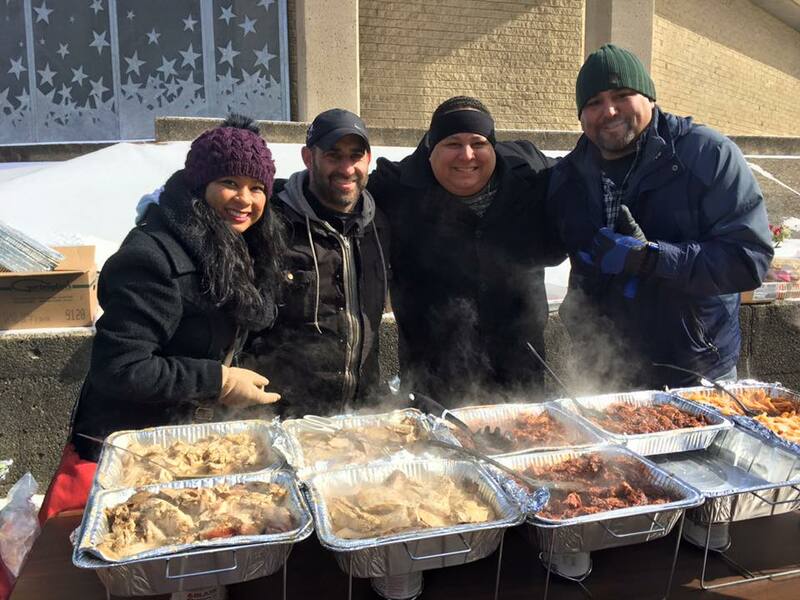 Gather your sports team, church, friends, neighborhood, and get cooking for the homeless! There are so many ways to get involved! The greatest need are weekly volunteers to provide support and fellowship! Would you like to put a team together to bring food for the homeless? What talent can you bring? Do you play music or motivational speak? Would you like to do a donation drive for items to help them? Would you like to adopt a formerly homeless person and provide a "Welcome Wagon"? It is amazing what one person can do and even better when you rally the troops! Thanks for coming on this journey with us! Sign up for your meal date now! 01/20/18 Founder of Mission From Mars honored as a finalist for the CORO of Pittsburgh individual Martin Luther King Jr. leadership award. The award "honors those in our community who have made significant accomplishments towards the common good by modeling Dr. King's inclusive approach to leadership". 12/17/17 Celebrated our 100 lunch on the street of Pittsburgh! 08/29/17 Mission From Mars founder on the front lines after Hurricane Harvey in Texas helping victims. Mission From Mars continued to help provide aid to the displaced, plus ran search and rescue teams in Key West Florida/Puerto Rico. We also helped Immokalee, Florida with much needed supplies. Immokalee has the highest poverty rate in the United States. Thanks to Bob Kresson CEO of Empire Investigations for funding the trip. Thanks to Jason Capps owner of Bella Sera for raising money to establish hacienda fees, facilitating a non-profit in Puerto Rico that will receive state help to provide aid on a long-term basis. A family in Texas was also helped! We also secured a donor who sent $1,000 to help a school with supplies in Key West! 2016-2017 Seven homeless were given housing assistance directly from donor to landlord for first months rent/security deposit. 2016-2017 Mission From Mars provided close to 50 "Welcome Wagons". A team of dedicated volunteers helping formerly homeless get started with everything they need, for their new apartments. Many received their entire apartment furnished or provided a bed. 2016-2017 Mission From Mars provided an additional six meals during winter for 150 homeless at the emergency shelter that is run by Operation Safety Net. 12/25/2016 Celebrating our 50th lunch anniversary on the street of Pittsburgh! Provided gift bags to 150 shelter homeless. Provided gift bags with thermals and gift cards to our street lunch friends. 12/15/16 Mission From Mars drops a dumptruck full of wood in the encampment area to stay warm. 05/27/16 Founder of Mission From Mars honored with the Tunch and Wolf's Locker Room Leadership Award! This award "recognizes people who have gone above and beyond to help the poor and homeless in Pittsburgh". 05/13/16 Student wins $1500 for a "Mission From Mars" documentary that he scripted, filmed, and edited! 04/10/16 We served over 100 people in Pittsburgh! Through the generosity of so many, we eclipsed the 100 meal milestone, serving over 65 people at our Lunch, 25 through street delivery, and 25 more in encampment areas. 03/29/16 Portable homeless shelter delivered! The very first man made prototype trial shelter for a homeless person has been placed in an undisclosed location in Pittsburgh! We will be following the Veteran who received the shelter closely with a list of questions to see how he is settling in. After reviewing the services of other organizations, Mission From Mars identified there was a need to provide a lunchtime meal on Sundays on the Northside. Because access to public transportation is difficult for homeless (money, bus passes) and they may not attend a church that provides a meal. By providing this meal, it fills a gap for many living on the streets of Northside and downtown that may not otherwise eat. Mission From Mars connects the homeless with others in shared circumstances as well as the community. 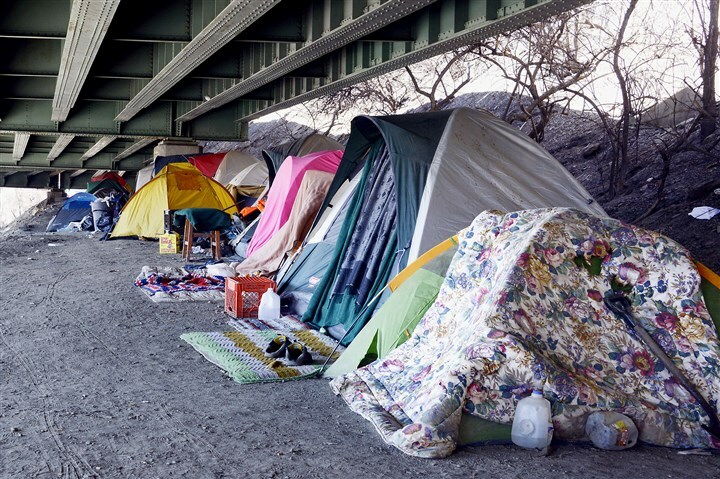 The City of Pittsburgh currently has 1500 homeless living in shelters. About 1/3 of that statistic are Veterans, and there are around 100 street homeless. During the summer that number increases with 300-500 transient street homeless or "train kids". One of the greatest difficulties in being homeless is the stigma that comes with it. Many are ashamed or embarrassed and they often feel very alone. Mission From Mars goal is for our homeless friends to know they are not alone. God is with them and there are friends here to help. We listen, we care, and we do not judge them. We love and support them. We try to reach as many homeless as we can. Being a part of the Mission From Mars street ministry team you will learn these people do more for you- than we could ever do for them!